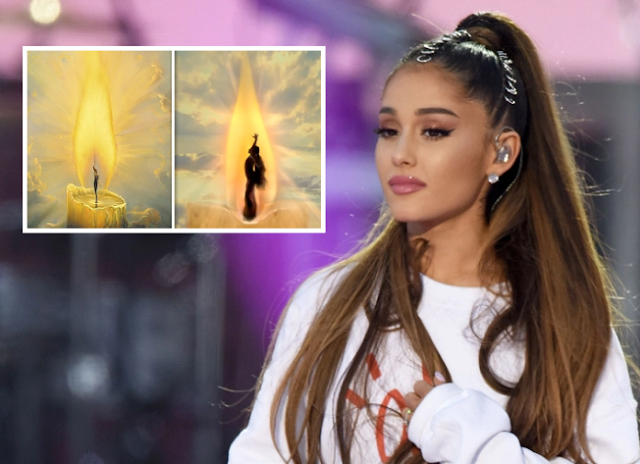 The sight of Ariana Grande dancing in a candle for her "God Is a Woman" music video was too much for one artist to stand ... because he says she stole the idea from his painting. Vladimir Kush is suing Ariana over the imagery in the music vid which was released in 2018. If you've seen it, the singer dances in silhouette inside a candle flame -- Ariana's wick. But, Vladimir says nearly 20 years earlier he made 2 paintings called "The Candle" and "The Candle 2" ... which both featured a woman as the wick with raised arms against a partially cloudy sky. According to the suit, the similarity is uncanny ... and a rip-off. Vladimir says Ariana's video features the same cloudy sky, ring effect of clouds around the flame and the same light beams radiating from the flame. The production company Ariana used has experience in stealing artistic works, according to Vladimir. In the suit, he says Freenjoy, Inc and its prez were also involved in producing Kendrick Lamar's "All the Stars" video -- and you might recall ... a different artist sued over that one, also claiming a rip-off. Vladimir is suing Ariana and Freenjoy for copyright infringement, and wants an injunction to remove her music vid from the Internet. BTW, it already has nearly 200 million views ... so, the genie's kinda outta the bottle.